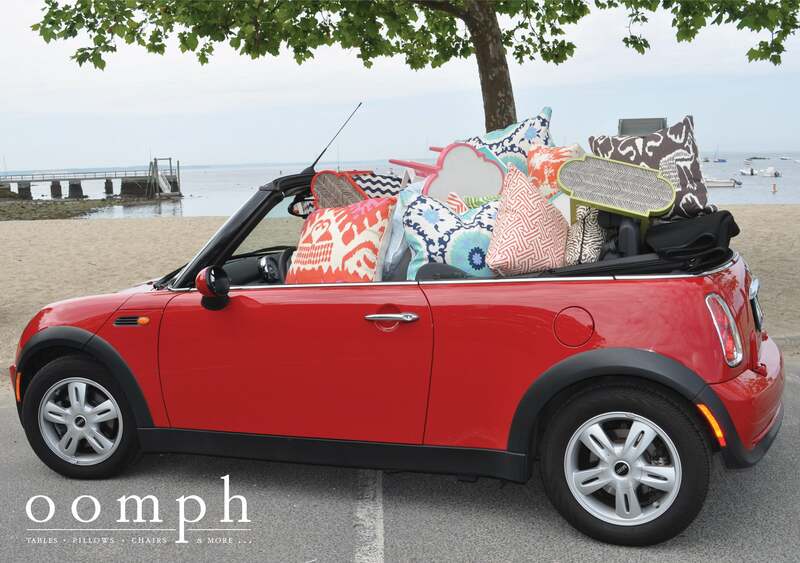 Summer is here and oomph has it covered! Get your house summer-ready with a few new bright pillows and tables. We can add oomph to just about any room with fun patterns and colors that will make you want to do the cha-cha through the house! Our Quadrille pillow collection is over-sized, plump and sumptuous and from one of the most coveted fabric houses around. Toss a couple on that old couch to hide where the dog sleeps or little Tommy spilled his grape juice. Add a tini table in a wild color to draw attention away from that spot where Spot had that little accident. Get ready - summer has begun and you want to be prepared for the swarms of guests your husband invites in on a whim - you won't mind, dear, will you?